The current trend of recovery of the world trade from the crisis of 2008 / 09, has shown clear signs that Transport Industry, in addition to its typical issues, faces a market permanently instable; requiring high rates of flexibility, better planning, and a faster management to respond properly to customer requirements. How to improve transport management, increase flexibility, speed of response to market changes and customer requirements, and reduce operational costs? How to get a satisfactory level of saturation of available transport capacity in the routes connecting regions with unbalanced transport demand? What to do to counteract fluctuations in oil and fuel prices? What to do to reduce fuel consumption and emission of CO2, to save energy and respect international standards for the protection of the environment? Design and manage a transport network integrated with customer Logistics, based on “collaborative relationships”, able to meet customer specification and reach high level of efficiency and cost effectiveness. 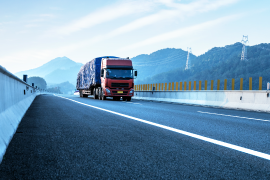 CBE partners with the Logistics Industry to address its most important strategic, operational, and organizational challenges. Our focus on delivering a lasting competitive advantage has helped our clients succeed in an increasingly challenging marketplace.